Gruesome new details are surfacing after 16 Afghan villagers including nine children were shot in their houses by at least one US serviceman. Witnesses to the atrocity now say that several drunken American soldiers were involved. "They were all drunk and shooting all over the place," Reuters cites Agha Lala, a villager in Kandahar's Panjwayi district. Twenty-year-old Jan Agha says the gunfire “shook him out of bed.” He was in the epicenter of the horrible shooting, witnessing his father shot as the latter peered out of a window to see what was going on. "The Americans stayed in our house for a while. I was very scared," the young man told reporters. Lying on a floor, Agha says, he pretended to be dead. He added that his brother was shot in his head and chest. His sister was killed as well. “My mother was shot in her eye and her face. She was unrecognizable,” he said. The Afghan parliament said the incident was barbaric and demanded justice. 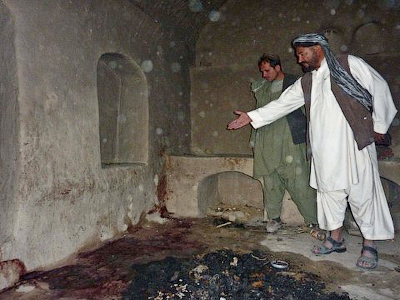 Both NATO and US officials condemned the violence, promising a swift investigation. ­The Pentagon’s chief spokesman, George Little, said on Monday that there was "every indication" that the perpetrator, whose name he refused to disclose, had not been accompanied by any other soldiers. He also said that the mass killing would not change the “basic war strategy” in Afghanistan. "Despite what some are saying, we’re not changing our fundamental strategy," Little said. Also on Monday NATO reacted to the massacre of Afghan villagers, with spokeswoman Oana Lungescu saying the shooting was an "isolated incident." She emphasized it would not affect the timeline of the previously discussed withdrawal of US troops from Afghanistan by the end of 2014. Earlier a preliminary official report said the unnamed culprit, identified as a member of the US army staff, had acted alone and is now in custody after turning himself in at an American base. 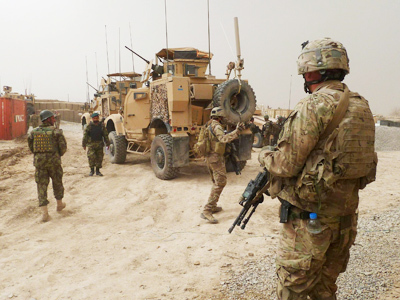 Afghan officials, fearing possible violent demonstrations, have deployed extra police and troops in and around Kandahar. 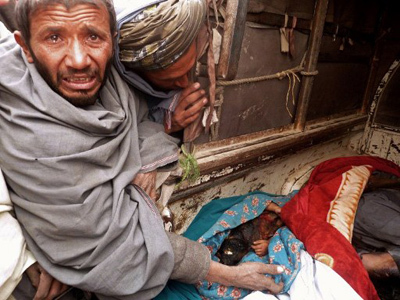 The incident was one of the worst of its kind since the US-led invasion of Afghanistan in 2001. 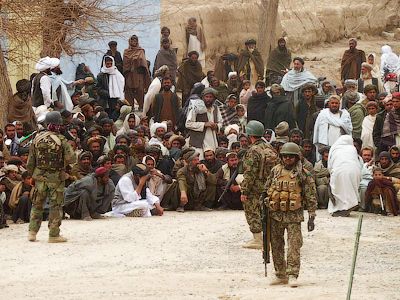 It comes just weeks after copies of the Koran were burned at a US military base, provoking mass riots in Afghanistan. ­US President Barack Obama has said during an interview with Denver TV Station KCNC that the killing of 16 Afghan civilians by a US soldier was “absolutely tragic and heartbreaking” but also noted that he was “proud generally” of what US troops had accomplished in Afghanistan while working under strenuous conditions. Asked whether the incident could be compared to the infamous 1968 My Lai Massacre, in which US troops murdered up to 500 civilians in South Vietnam, Obama responded by saying it was not comparable. “It appeared you had a lone gunman who acted on his own,” he noted. US defense secretary Leon Panetta said that the death penalty was a possible punishment against the soldier who perpetrated the massacre. He noted that officials will use the military justice system to try the soldier and that the shootings must not derail the military mission in Afghanistan. In the meantime, Reuters quoted an anonymous US official who said that the accused soldier had been treated for traumatic brain injury after being in a vehicle that rolled over in Iraq in 2010.